But the Europeans remain silent on how the growing friendship may benefit ordinary Egyptians. 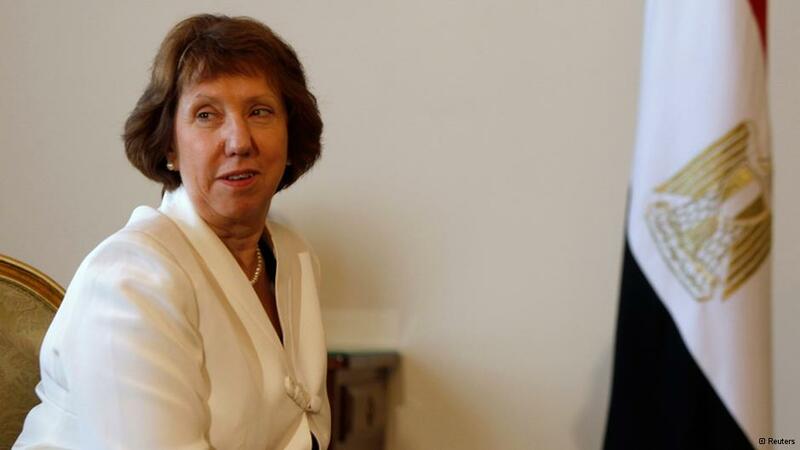 “I am not here to ask people to do things”, said EU Foreign Policy Chief Catherine Ashton to the press in Cairo, Tuesday. “I am here to find out where the common ground might be, what the confidence building measures could be that can help everybody move forward”. What this common ground may be, the European official did not say. Nor did she publicly mention the desperately needed EU-loan, promised if democratic reforms come into effect. Meanwhile, new protests are promised by both sides tonight. Ashton, who arrived in Egypt late Sunday, was meeting with the interim president, Adli Mansour; his vice president, Mohamed ElBaradei; and the chief of the armed forces, Gen. Abdul-Fattah el-Sisi. She also had discussions with Salafi representatives from Al Nour party and the deposed president himself, Mohamad Morsi. “We have some experience that might be of value and we can help by having conversations with everyone, to listen, and to be able to offer some thoughts”, said an apparently humble Mr. Ashton, well aware of the popular discontentment with US involvement in what is seen to be Egypt’s internal affairs. The EU has attempted to mediate in the political crisis over the past six months as Egyptians have grown increasingly suspicious of U.S. involvement. And now, Baroness Ashton is the first Western emissary to visit the country after a military led crackdown this weekend, which left some 80 Morsi-supporters dead and hundreds wounded. “We have made it clear that there is no place for violence in this and that peaceful demonstration is important but also ensuring that it is done in a proper way and that the authorities have a huge responsibility to make sure that happens, said Ashton. As for ordinary people, who are preparing for yet another demonstration tonight, she had no message other than “I am always struck by the optimism people here have”. – Began in 1966, seeking to develop a particular close relationship to Egypt and support its domestic and political reforms. – The current agenda of EU-Egypt relations is spelled out in an Action Plan under the European Neighbourhood Policy. – Egypt and the EU are bound by the legally binding treaty in the form of the Association Agreement which came into force in 2004.